Engineering Ambassador Brad Wile makes adjustments to an interactional robotic system that can be controlled by students. The Engineering Ambassadors for the Penn State College of Engineering are educating State College youth on engineering and science through their senior design project — an interactional robotic system that can be controlled by students. The goal of Engineering Ambassadors is to inspire middle and high school students to challenge conventional ideas about science and engineering through leadership. The Ambassadors have been focused on creating more interactive projects that resonate better with younger students. 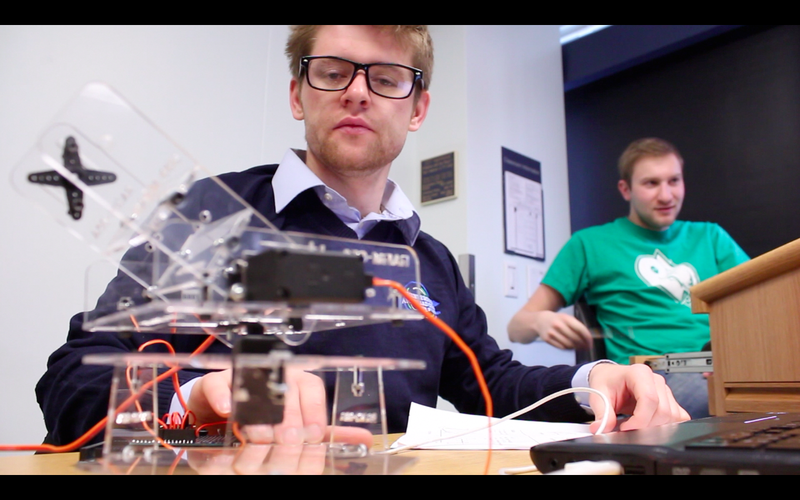 The robotic system was developed as part of a senior design class in mechanical engineering. The project originates from enrollment in ME 440W: Mechanical Engineering Senior Design class. Students of the class are partnered with the Learning Factory, an organization dedicated to providing engineering students with practical hands-on experience through industry-sponsored design projects. The robotic arms are an idea developed by the Engineering Ambassadors and an activity that can be used in a middle or high school science fair environment. The purpose of the robotic arms is to capitalize on children’s interest in robots and show their use in today’s society. The robotic arms will use six standard servo motors to allow a person to move the arm to an exact point in 3-D space. The servo motor will be connected to an Arduino motor controller. The arms will have six degrees of ample range of motion and freedom for the given workspace. They will be constructed out of acrylic to provide low-cost manufacturing ease and durability. The Ambassadors will utilize the arms to allow students play games and compete with each other. 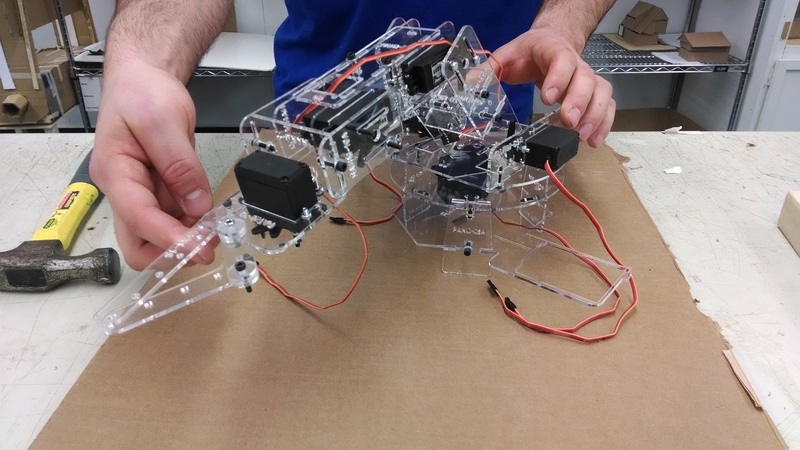 The students will use a PlayStation 2 controller that can be interfaced with the Arduino microcontroller to move each of the servos on the robot. They will be presenting their project at the College of Engineering Design Showcase on May 1 in the Bryce Jordan Center. Pimental and Cardy are students in Penn State’s College of Communications and account associates with the student-run Happy Valley Communications.